This People Matters and KellyOCG study presents an overview of the recruitment perception across the organization levels and the RPO landscape in India. With technological advancements playing a re-defining role in business processes, businesses are in a state of continuous transformation. Many companies need an agile workforce that is both, familiar with technological change and can leverage the opportunities it presents. Across the organisational levels, from business leaders to entry-level professionals, there is an urgent requirement to find skilled professionals who can make the best of an ever-increasing uncertain business world. Across the Asia Pacific, reports have shown a significant rise in the use of RPOs over the years. The RPO market in the region grew by 16 percent in 2017. This rise across the region was driven by certain countries which witnessed significant growth. Countries with growing labour markets like China and India made strides in new RPO deals signed over last year, and a large portion of the growth of the RPO industry can be attributed to them. 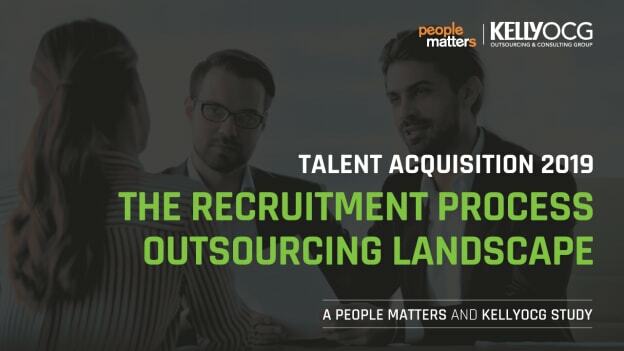 People Matters - KellyOCG Study on Talent Acquisition 2019: The Recruitment Process Outsourcing Landscape seeks to gauge recruitment perception across the organisation levels to understand how businesses are framing recruitment strategies and priorities. The study shed light on key recruitment priorities and challenges across sectors while taking a look at different sourcing channels and identifying their suitability vis-à-vis different organisational hiring levels. The second part of the study explores the state of RPOs in India and how its presence has reshaped recruitment modalities. Download the complete research report below to get access to the insights of the study.